Although I don’t think we’d join the ranks of retirees who have sold their homes with the intention of traveling until they can’t, we do want to see as much as we can before we slow down. Excellent!! This was one if my choices, along with a library card 😀 posts for other days. I like the way you emphasized the distinctions on our US passports. I have to say it makes me very nervous when a tour guide or hotel clerk tells us they need to hold onto them for any duration. I want mine tucked into it’s security pouch next to my heaving bosom at all times!! Much to our dismay, the Euro countries no longer stamp passports because their borders are porous. Not even Turkey blinked an eye. Now that gives me an art idea – I just might use my expired passport for a collage journal and design my own stamps for countries I visited with it!! Do you have a spevific destination picked for your next journey? Oh, I didn’t know that about the entry stampless “new” Europe. That’s a bummer! I love your idea of using expired passports as part of art projects… post it if you do! I think our next trip will be to the Fontainebleau region of France where my sister-in-law lives with her family. We can use her house as a base camp for more adventures. I hope you have a chance to use it more. Mine has been to Canada and London, but that’s okay with me. There are still lots of places in the US I’d still like to see. I agree that there is much to see here too! We recently took a three-week road trip that took us through 12 states, into national parks, and along part of Route 66. It was wonderful! A powerful object indeed. May you use it wisely, and may it transport you to dreams and adventures for a long time. Thank you! We are looking forward to the day that we need to add pages because there is no more room for stamps! Yes, our passports are precious things. I do more U.S. travel these days and yet the last time my passport needed to be renewed I didn’t hesitate. Love this post! Mine will be up for a renewal in 2016 so I should probably start the process early next year. I know it can take awhile and I’d hate to have to turn down an all expenses paid trip to Bali if someone offered. That is an important object. My sister and I decided she wanted to travel and needed someone to travel with her, my wife and I agreed but unfortunately she passed away before we could. So now I spend my retirement time writing books and doing volunteer work. Travel while you can. My husband and I have known a few people who have passed away, lost someone close, or have had health problems that have prevented them from doing what they love. I’m sorry that you didn’t get to travel but it sounds like you have a full and satisfying retirement. Thanks for visiting! A brilliant post!! You are so right … our passports are priceless! I have had a valid passport since I was 17 years old and kept each one since then. Each tells a story of its own … and each year I continue to build on that story. I hope I can do that for a long time! We hope to have the energy and good health to be able to travel well into our retirement. My parents were in their late 80s when they had to stop and my husband’s mom is still going like the Energizer bunny, so, hopefully we come from good stock. I hope you can travel for many, many years to come also! It is amazing how powerful that little blue book is! I hope you enjoy your travels as much as we have… well, of course you will! Btw, I have friends who drove their VW camper down to the tip of South America and then had it shipped over to Africa so they could continue their journey there. Thank you! Also, thanks for stopping by. Ha, yes, great choice for the challenge. Holding a passport is a great privilege. I have been stopped and asked to present mine, by traffic police in France. I didn’t understand a word they said but fortunately my son speaks French. They looked the car over, looked at the passports, looked at us, gave the passbooks back and waved us on. My son thought all they actually wanted was an excuse to check out the Smart Car we’d rented – it did rather resemble a small, Jetson style spaceship than a car. I think I would have been a bit intimidated to have been asked for my passport by the police… good thing your son speaks French! Thanks for visiting my blog! Thank you for participating. Traveling is so much fun, but I yet to have step outside my country. I hate all that airport security and all those time consuming activities. So, I travel within the country, where I can hop into a bus or a train and just travel. Great post. Take Care. I agree about the hassles of travel, especially post 9/11. My husband and I often opt for a road trip rather than taking a plane… and we end up having a terrific time seeing parts of the country much better than we would have by air. Mine will have to be renewed next year and I want to make sure I get it done early. You never know when an opportunity to travel will present itself! Excellent! Indeed a passport is a very cherished object, a wonderful means to go anywhere in the world. Enjoy. Thank you! I hope to get a lot of use out of it! Great choice of subject! Although I’m Canadian, as a fellow travel buff, I can totally relate and have had a passport since the age of 4. It would never occur to me to let it expire. Enjoy your travels! Thank you! I didn’t get my first passport until I was in my twenties but I had one ever since. Although I’ve been to parts of Canada, I’d love to explore it further… you live in a beautiful country! I’d love to get down to Mexico again soon. Maybe into the interior. Good suggestion on the Leisure Link… I’ll do that! I love the concept of dual citizenship! I’m sure she will appreciate her passport and the freedom to travel that it represents when she gets a little older. Go enjoy it and get your book stamped. 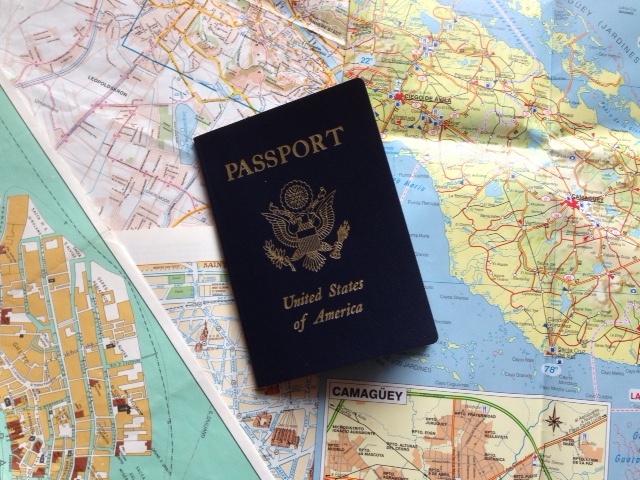 I love traveling, too, and this post really spoke to me– treasure my passport! Thank you for supporting the Cherished Blogfest– hope to read more of your posts now that I’m following you. I really enjoyed the blogfest – both writing for it and visiting the other blogs. Thanks for the follow! What a great way to begin your retirement! I visited Germany many years ago and would love to go back. So much to see, so much to do. Absolutely! You don’t need a passport for every adventure (there is much to see here at home), but there is a big, beautiful world out there and I want to see as much of it as possible! I’ll check out your site and get back to you via email. A podcast sounds interesting! The count-down to retirement is kind of fun – and when you get close, lots of co-workers will take you out to lunch. I enjoyed the blogfest very much and look forward to the next one! What a great choice of cherished object! It is true- it leads us on so many wonderful adventures and opens many doors for us! Thank you! It has taken me to some amazing places and I hope to visit many, many more. You are so right! Passports can be a ticket to great adventures but they also provide peace-of-mind. Wishing you many travels, many stamps, and many adventures. Thank you! Yikes, your comment made me realize that it’s been more than a month since my last post. I wish I could say that I’ve been on some great adventure, but that would be a lie. We do have some travel plans for later this year and in 2016, though. Great choice. Very much enjoyed your take on just how special a U.S. Passport really is. Even before retirement and even more since retiring, 2years ago, my husband and I are enjoying putting ours to good use. Have been to 35 countries so far and looking forward to adding several more next month when we embark on a 28 day Mediterranean/transatlantic cruise. Our intent is to enjoy traveling as much as we can while we are able and to work at staying healthy so that time lady’s for quite a while. Besides all the great and interesting sites we are enjoying meeting nice people along the way and making new friends. Perhaps our paths will cross on some future journey. BTW I think our passports have been stamped in European countries whenever we fly in, including Turkey, but you just miss out when you drive between countries in Europe. Wow, 35 countries! You really have been putting your passport to work. And, you are right, travel as much as you can now while you are healthy. I imagine that you’ve been to Cuba already. My husband and I managed to get there before the embargo was lifted – just in time before being overrun by Americans! I couldn’t determine if you have a blog too – if so, let me know; I’d love to follow you and your adventures. Next Next post: If this was a job, I’d be fired!